Para ver en español, haga clic en la esquina superior derecha. 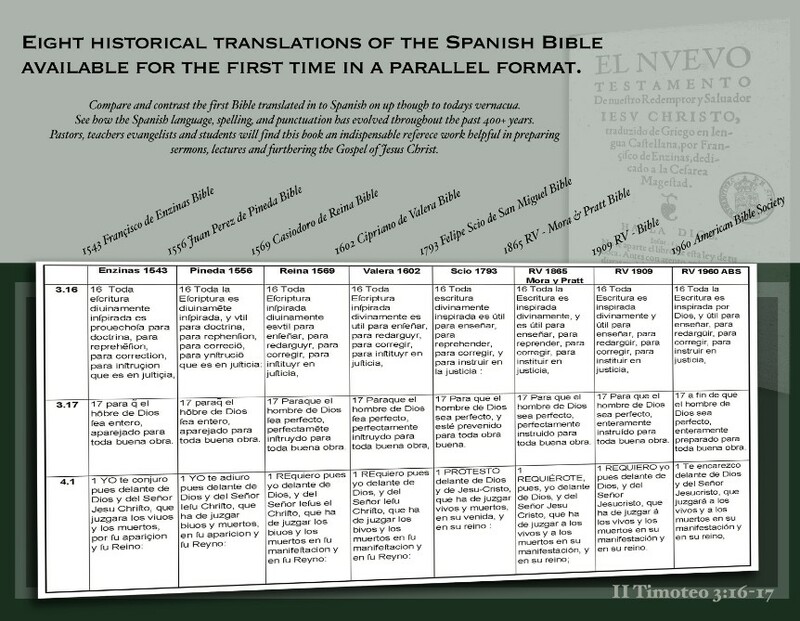 Sons of Thunder Publications presents the history of the Spanish Bible! 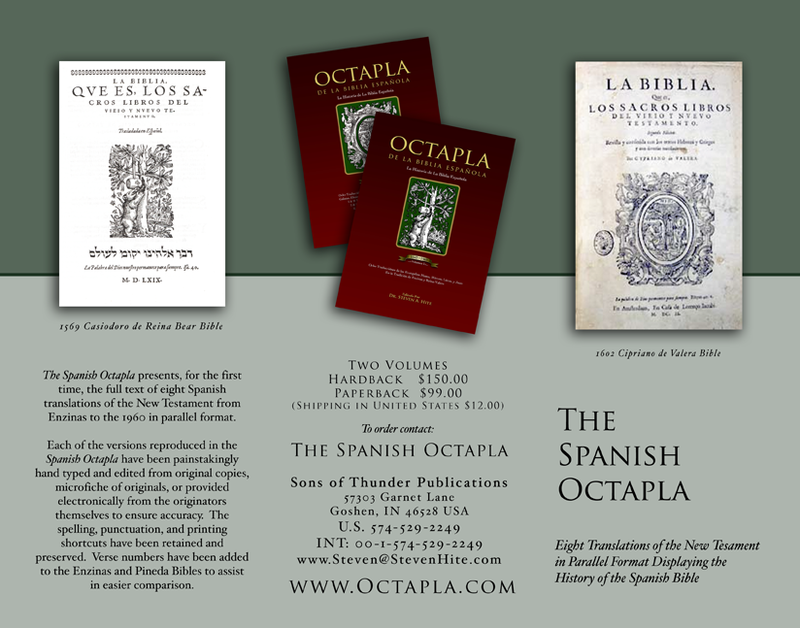 A seven year project where we found the copies of the original printings of the eight major Spanish translations, Each were hand typed, and edited 4-7 times to make sure it matched the original printing with every "jot and tittle". The student of history can learn how the text was transmitted and how it changed the language and syntax of its day. Until today, these texts only existed in museums. Now you can have your very own copy! To order on line go to www.PocketDoctrines.com under "Books"